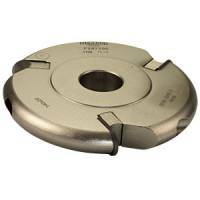 This cutterhead is manufactured from hard wearing light metal alloy and is suitable for planing and jointing in soft woods, hard woods and man-made board, including veneered and laminated material. 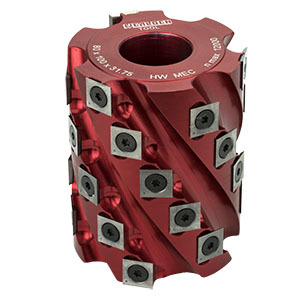 May be used with a guide bearing or ring fence for planing and shaping curved work with a template. The 62mm diameter block is especially suitable for use on lighter machines. 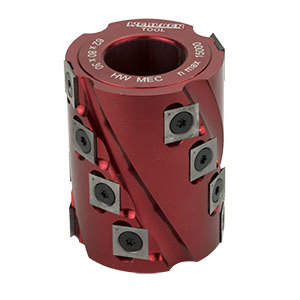 The staggered design of the carbide knives will leave slight witness lines on the workpiece.